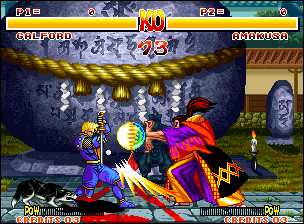 Play Amakusa (AES & CD): Save the game at the twelfth fight. Load this game and select Charlotte with the second controller. During the bonus stage, press start on the first controller: Amakusa will replace Charlotte after bonus stage.